Karen Frush, MD. Chief Patient Safety Officer of Duke University Health System (Durham, N.C.). Dr. Frush became chief patient safety officer at Duke University Health System in 2004, shortly after she completed the National Patient Safety Leadership program sponsored by the American Hospital Association and the National Patient Safety Foundation. 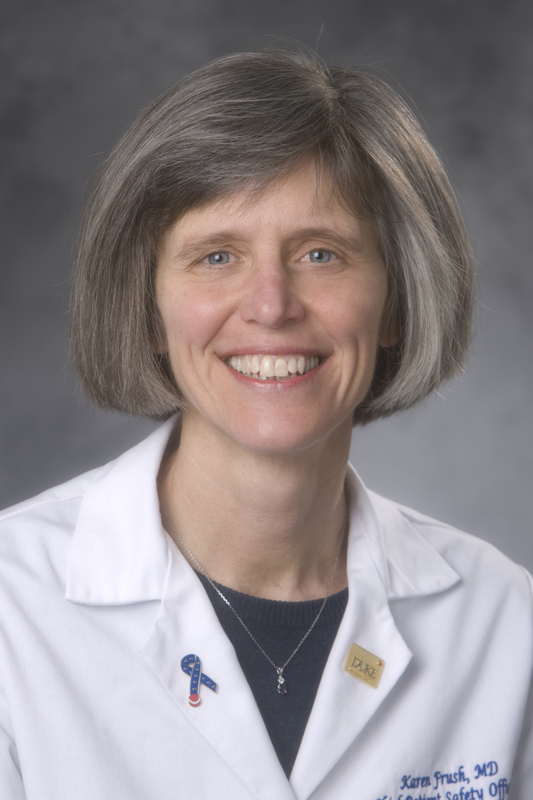 She is also an associate professor of pediatrics and assistant professor in the Duke University School of Nursing. Dr. Frush serves on numerous patient safety committees and councils, including American Academy of Pediatrics' Safer Healthcare for Kids Project Advisory Committee, North Carolina Hospital Association Center for Patient Safety and Hospital Quality, and the Pediatric Patient Safety Expert Panel for Joint Commission Resources.